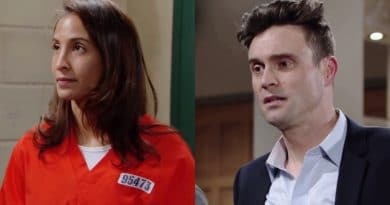 Young and the Restless spoilers divulge Lily Ashby gets out of prison early and divorces Cane Ashby then plans to leave GC for good. Young and the Restless spoilers reveal Cane Ashby’s kids turn on him as he worries that he’s lost his wife Lily Winters for good. ‘Young and the Restless’ – Christel Khalil Return Signals Lily’s Prison Release? Young and the Restless spoilers reports Christel Khalil is filming scenes that will air in the New Year. Will Lily be released from prison?